Directions to the Fleger Appartements in Vienna Ottakring. You can easily find us in Vienna. 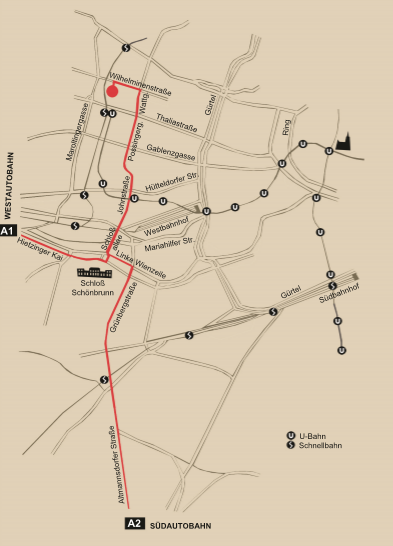 We – and your apartment in Vienna – are located in Seitenberggasse 19, in the 16th district (Ottakring). Use the following map to find your way around town. The apartments are conveniently located close to an underground and tram stations. 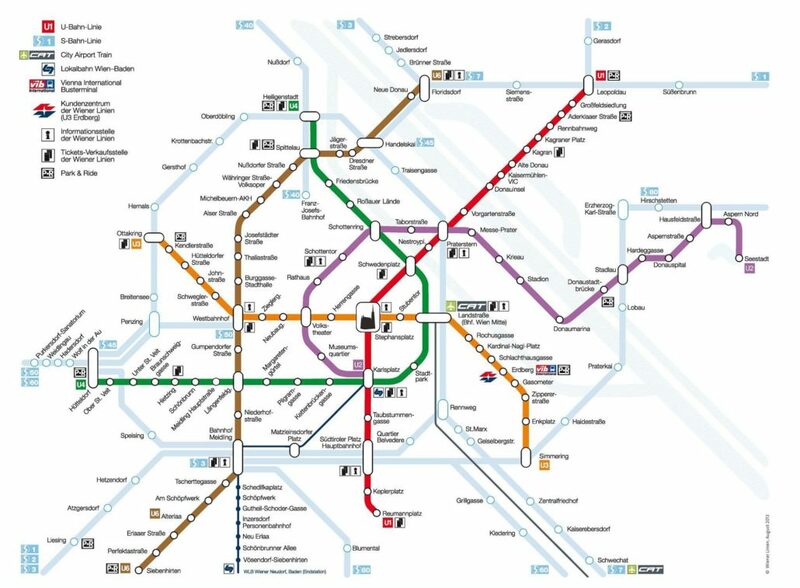 Discover Vienna by public transport – within 15 minutes you are in the city centre. Close to the apartments you find supermarkets, a dry cleaner, and several restaurants, one of them the typical “Heuriger” (a kind of cosy wine bar with traditional cooking). Welcome to our apartments in Vienna! Parking in the streets is not for free between Monday and l Friday from 9.00 till 19.00 o’clock. However our guests can buy a daily parking ticket for EUR 4,10. Sometimes we also can offer our personal garage for EUR 5,–/day. We organize an airport transfer for 4 persons with 4 normal size luggage for EUR 38,– from the airport to us and for EUR 34,– from us to the Airport. If you like this service we kindly ask you to inform us about the flight number and the arrival time of the flight. The taxi driver will wait for you in the arrival hall with a sign “Fleger Appartements****”. In case you need a little bus for max. 7 people we ask you EUR 50,– for one direction.